Is there an accurate registry for the 69 Pace Car festival cars? 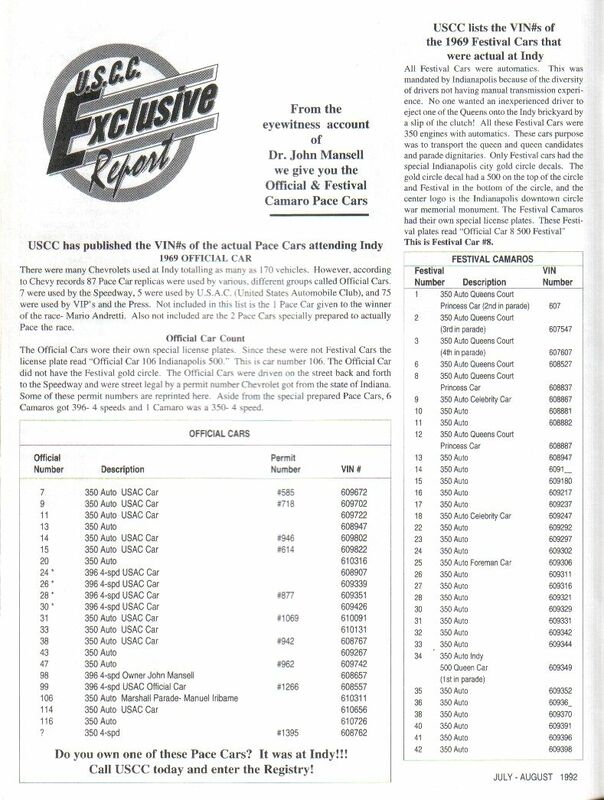 I probably have the most complete list of 69 festival cars in the CRG database. About 15-20 additional cars that aren't on that list. The pacer guys really focus much more on the 67's. I'm new to this site, I would like to register my 69 pace car on a registry,Is there a link here or form to fill out?